ITSUMO is offering Free Standard Shipping on orders over $100 to our North American customers and over $200 to qualifying international customers. North American Free Standard Shipping destinations include Canada and the contiguous ‘Lower 48’ United States. Qualifying Free Standard International Shipping destinations include the United Kingdom, Ireland, France, Germany, Spain, Belgium, the Netherlands, Italy, Switzerland, Denmark, Sweden, Finland, Norway, Iceland, Japan, South Korea, Hawaii & Alaska. *Certain ITSUMO products do not qualify for free shipping due to size & weight and will be noted as such on the product description page. All orders will be processed, packed and shipped from Vancouver BC, Canada. Upon receipt of payment, we will prepare and ship your order via Canada Post within 1 business days, pending availability and credit verification, unless otherwise noted. Customers are responsible for all importing costs including but not exclusive to: import taxes, duties, brokerage fees etc. ITSUMO aims to offer accurate shipping times but cannot take responsibility for shipping delays, lost, stolen or damaged packages caused by weather conditions, local delivery errors or delays while crossing international borders. Delivery times will vary by destination. Fees incurred from rejected packages will be the responsibility of the buyer and will not be refunded or reimbursed by ITSUMO for any reason. In an effort to protect our customers and products, shipping prices include insurance against loss or damage during transport. ITSUMO offers Free Standard Shipping on orders over $100 to our North American customers and over $200 to qualifying international customers. North American Free Standard Shipping destinations include Canada and the contiguous ‘Lower 48’ United States. Qualifying Free Standard International Shipping destinations include the United Kingdom, Ireland, France, Germany, Spain, Belgium, the Netherlands, Italy, Switzerland, Denmark, Sweden, Finland, Norway, Iceland, Japan, South Korea, Hawaii & Alaska. Certain ITSUMO products do not qualify for free shipping due to size & weight and will be noted as such on the product description page. ITSUMO currently ships internationally to Canada, the United States, the United Kingdom, France, Germany, Spain, Belgium, the Netherlands, Italy, Denmark, Sweden, Finland, Norway, Ireland, Iceland, Switzerland, Japan, South Korea, New Zealand & Australia. In the event we do not currently ship to your country, please contact us at info@itsumo.ca to arrange possible special shipment. ITSUMO offers a Local Pickup option at a free of charge for all orders for customers in or around Vancouver BC. 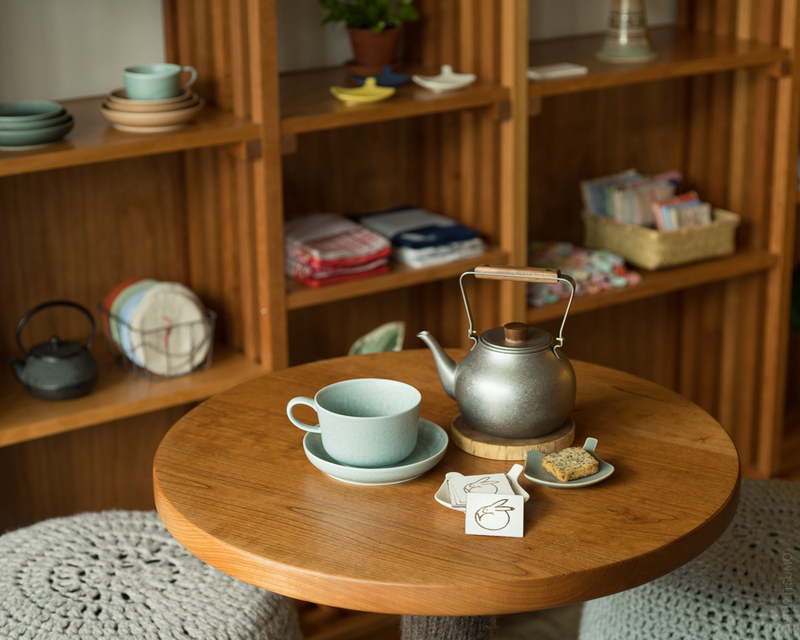 Our local pickup station is located at Usagi Sweets, a Vancouver local cafe who is specialized in Japanese inspired sweets and tea. A local pickup option can be selected at check out on our website. We will notify the earliest available pickup day immediately after the approval confirmation on your order. Please note that we are not responsible for any loss, damage, or theft that results from your order being picked up locally. International deliveries subject to local import duties and taxes are payable by the customer upon receipt, and may be affected by customs and carrier delays. Responsibility of payment for importing charges lies with the purchaser. Under no circumstance will ITSUMO refund, reimburse, or pay any importing fees. Shipping rates vary according to size, weight, quantity and value of your merchandise based on cost of insurance. Within North America rates will range from $10 to $30. International Packages will range from $30 and up. All shipping charges are the responsibility of the buyer and will not be paid in part or in full by ITSUMO. All shipping / insurance charges will be clearly presented at time of checkout. If you have specific delivery requirements, prefer expedited delivery service (FedEX, Canada Post Priority only) or would like to make special arrangements, please contact us at info@itsumo.ca before placing your order and we will happily see that your individual needs are met. Residents of British Columbia will be subject to GST & PST. Canadian residents outside of British Columbia will be subject to GST only. Upon receipt of your shipment, please notify ITSUMO immediately of any issue. We will attempt to correct the problem as best we can. Exchanges & returns must first be approved by ITSUMO. Please e-mail info@itsumo.ca to arrange any return of merchandise. No exchanges, returns or refunds will be accepted without an ITSUMO issued RMA#. In the unfortunate event of merchandise being damaged during transit, or in the case of defective merchandise, ITSUMO will remedy the circumstance by issuing replacement merchandise at no cost to the buyer. Damage to merchandise must be claimed within 24 hours of receiving your shipment. Please take a photo of the original damaged box so that we can contact our carrier to initiate insurance coverage if necessary. Please contact info@itsumo.ca to arrange for an RMA# before shipping any merchandise back to ITSUMO. Item refunds can be arranged. The customer will be responsible for all return shipping costs, plus any duties and/or taxes that may be incurred upon return shipping. Return shipping costs, duties, taxes and all related fees are non-refundable and will be subtracted from the order refund. Refunds will be issued only after all items have been retuned in unused and original condition. Refunds & Exchanges must be arranged no later than 14 days from date of delivery. Please contact info@itsumo.ca to receive RMA# before shipping merchandise back to ITSUMO. No returns / exchanges will be accepted without an ITSUMO issued RMA#. ITSUMO can provide gift wrapping for free on all non discounted purchases. A small fee may be incurred for gift wrapping of sale items. We can also add a personal message to the gift. To arrange gift wrapping, please contact info@itsumo.ca with details and your personal message before placing your order. Discounted merchandise does not qualify for free gift wrapping but it can be added for a small fee at checkout.